I guess most people who have done some sort of word processing might have seen this. When the document is zoomed out to a certain extent, the word processor can't display the individual letters and thus represents the text with blocks. 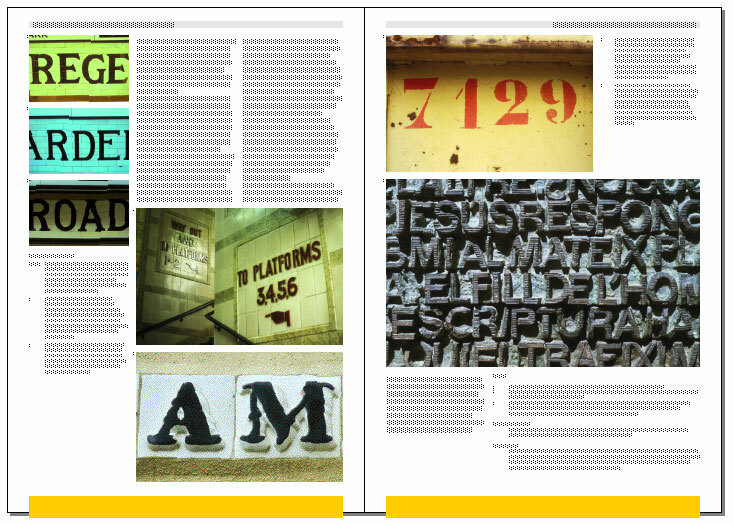 'Greeked text refers to nonsensical passages of text which are used to demonstrate typography work. Greeked text is often in a foreign language (such as Greek, hence the name), or made up of nonexistent words, so that the viewer will not be distracted by the textual content but can focus on the fonts and layout. 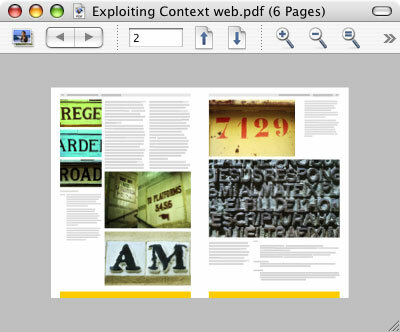 Greeked text in QuarkXPress and the exported PDF, viewed in Mac OS X Preview.